Critically acclaimed Director Jagarlamudhi Radha Krishna (Krish) has come up with yet another Experimental Script and approached Mahesh and Ramcharan to do film. But both the stars hadn't responded in Positive and Krish approached Surya with same storyline where he got green signal from Hero. 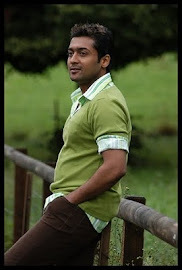 It is heard Surya was impressed with 'Vaanam' film and given green signal for this new film too. It is once again proved that Our Heroes will never do conceptual films and prefer only Commercial films. Krish is getting ready to make the film as bilingual.